Indonesia is a country that will have a surplus of demographics. The number of productive human resources is very abundant. It is about 59% of the 250 million inhabitants and dominated by the Z generation. The Z generation or the internet generation are those who was born and raised in the digital era, with a variety of complete and sophisticated technology, such as computer or laptop, mobile phones, iPad, PDA, MP3 player, BBM, internet, and various other electronic devices. The Z generation has already known and been familiar with a variety of sophisticated gadgets since they were childhood. It will directly affect their behavior and personality development. The very large amounts of the Z generation are very important for the future progress of this nation. Therefore, we have the power to optimize their growth and development. However, we cannot educate the generation Z certainly by using the conventional ways such as sitting on the desk and spending time to listening to the teacher, summarizing and writing homework on the notebooks. They are no any longer suitable for them. Why it happens? The reason is that the Z generation prefers to the tools or methods that emphasize the interaction and visualization. Education experts suspect this trend as a direct consequence of the way they engage in social media through contact with tools and visualization. Even the Z generation can conduct cooperation in a way that is more prevalent in virtual social media environment that is cooperative online. Therefore, in this 21st century, a teacher is required to be able to innovate in learning. Learning Design in the classroom must be able to cover their whole potential. Teachers should also be IT literate, at least show interest in what they like the technology. For that reason, we need more support so that all the teachers who educate this Z generation understand about IT. There should be a lot of training for teachers, so they can apply in the learning activities. Microsoft has provided great support in the field of education. One of them is through the Microsoft Innovative Educator Expert Program. 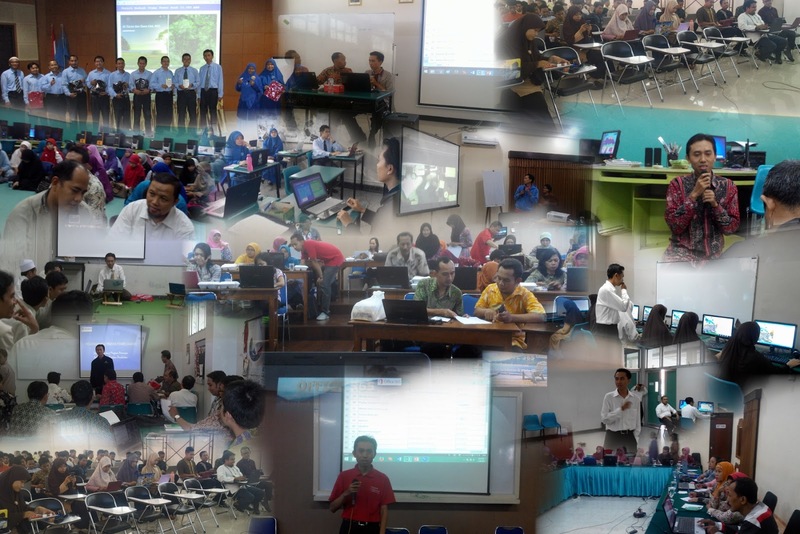 When all teachers apply technology in learning, facilitating their students, directing them toward a better, then surely this Z generation will certainly contribute significantly to Indonesia's progress and prosperity of the world. That’s why Indonesia needs a lot of teachers who are IT literate. That is my a big dream as Microsoft Innovative Educator Expert Indonesia. 0 Response to "My Big Dream For Education in Indonesia"